Yin Yoga Teacher Training: Foundations Module (50hr) with Josh Summers, E-RYT 500, YACEP, Lic. Ac. The 50hr Yin Yoga Teacher Training: Foundations Module is a comprehensive training developed for serious students and teachers interested in learning the core physical aspects of the practice of Yin Yoga. Core principles of Yin Yoga; how to cue postures and educate students safely. Practice the core Yin asanas: Backbends, forward bends, lunges, external hip openers, twists, and upper body postures. Explore the difference between Aesthetic Alignment and Functional Alignment; how bone variation affects range of motion and alignment considerations. Study the anatomy and biomechanics of the spine, pelvis, thigh, knee, and shoulder girdle. Principles of tension and compression in asana. Learn five essential Yin sequences, with relevant modifications and adjustments. Principles of sequencing; target areas and counterposes. Investigate the histological structure and function of connective tissue. Understand the positive physiological effects of Yin Yoga on the fascia, connective tissue, and joint health. The Foundations Module is suitable for those both interested in teaching Yin Yoga or for those who simply wish to deepen their understanding of the practice. Students will receive a certificate of training which is eligible for Continuing Education Credit (50hrs) with the Yoga Alliance. This Foundations Module is a core module of the Summers School of Yin Yoga 200-hour and 300-hour certification program. 1. Register for the module. Fee (includes manual): $690 early bird, $840 thereafter. Early-bird pricing expires 30 days prior to the start date of the training. This Module is held at the Freedom Hall at 976 Main St., Cotuit, MA. In general, each day of the training starts at 9:00 am and ends at 5:30 pm. Please check with the host studio for exact times. 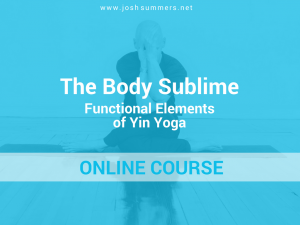 One of the unique features of the Summers School of Yin Yoga is that each of the core Training Modules has an online course component. The online course will prepare you to arrive at the live training with a solid foundation of the theory and practice covered in each module, allowing us to start at a higher level in our time together in the intensive. Upon registration, you’ll get a 90-day free access pass to the online course (a $125 value). You will need to complete the online course, including a short quiz, before attending the live teacher training module. Estimated time to complete the online course: 5-7 hrs. You will receive an exclusive access code to the online course via email after signing up (please allow up to a week for processing). Readings will be assigned during the online and live components of this course. Required text: Your Body, Your Yoga by Bernie Clark. It’s not necessary to read this before the training, but this will serve as your ongoing reference book. Suggested Text: The Complete Guide to Yin Yoga by Bernie Clark. 20% of the training fee is non-refundable deposit. If you cancel more than 30 days prior to the training, you will receive an 80% refund. If you cancel less than 30 days before the training, you will receive 80% of your fee back as long as you or the studio finds a replacement for your spot. All Registration Fees are NON-transferable. This is by far THE BEST yoga training course I’ve ever taken. Josh is a joy to work with. He is a fount of knowledge with NO ego! A rare combination. I was able to implement my new knowledge immediately upon returning to teaching and my students enjoyed that additional information. It’s all about tension and compression and a Dragon-A-Day! 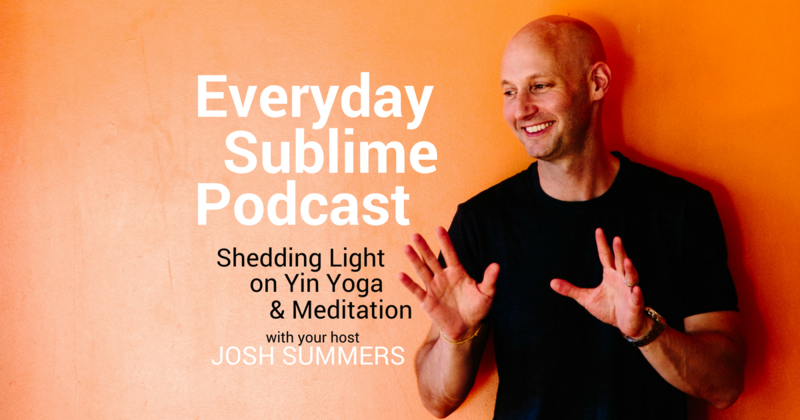 Josh’s class changed how I approached my practice. What I was getting out of it. What I was bringing to it. How to ditch some attitudes that weren’t helping me. Yes, Josh teaches poses. But more importantly, he invites his students to think about their Yin practice more intelligently, more pragmatically, more approachably and yes… more healthfully. It was good, good stuff. Josh Summers has a wonderful teaching methodology and personality. When reviewing various yin teacher training options, I just knew the Yin Yoga Foundations Module with Josh would be the right one for me. It absolutely was – I learned so much more than I ever expected. Josh truly has a gift for presentation and I highly recommend his school and training. Josh is an accomplished facilitator and trainer, deftly navigating group dynamics and complex topics. The format of the in-person training is genius. The informative online course – a prerequisite for attending the in-person training – ensured that all attendees had a basic understanding of the material, allowing us to dive deep into the material. I rate this course 10+ out of 10. I’ve just finished the Foundations and TCM modules with Josh and I’m delighted with both courses. He has a winning combination of clarity, knowledge, humility, and humour and a relaxed passion for what he does which he transmits so well. I began as a Yin Yoga ignoramus and return home with a real sense of its magic.